DO YOU WANT TO BE IN A MOVIE ABOUT THE RED SOX? Is Fenway Park a sacred place? To be considered, send us a photo of yourself to info@thejoyofsoxmovie.com and tell us why we should include you in the film. If chosen, we will contact you with a time and location. If chosen, you must be available on Aug 2nd in the Hopkinton, MA area for filming. THE JOY OF SOX MOVIE MAKES THE FRONT PAGE! The Metrowest Daily News in Framingham recently covered The Joy of Sox on the front page of it's July 15th edition. Click here to read the article. WANT YOUR NAME IN THE CREDITS OF A MOVIE? The Joy of Sox is being financed by individual contributions from Sox fans. 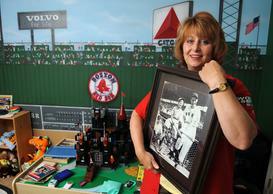 Do you want to have your name in the credits as a supporter of the Red Sox? Do you want to have a tax-deductible donation and help further the arts? Donations to support the production of the film can be made through Documentary Education Resources, a 501c3 corporation, www.DER.org. 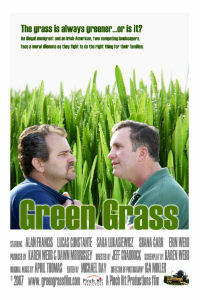 Karen Webb, one of the producers of The Joy of Sox, was recently notified that her last film, Green Grass, www.greengrassfilm.com, has been chosen to screen in Boston at the Roxbury Film Festival, www.roxburyfilmfestival.org, on August 2nd at 2:00 PM at the Blount Auditorium at Wentworth University. The festival is open to the public and tickets can be purchased online.